A few days ago I spun a great track from one of my bass heroes who happens to also be a terrific songwriter and guitar player. The song is a great piece of Canadiana called “That Kind of Blue”. The voice is Jay “Jimbo” Semko. Jay is the legendary bassist and songwriter of The Northern Pikes. The Pikes are a classic Canadian rock and roll outfit that had a handful of terrific hits through their great career. Hits and music that stand the test of time. “That Kind of Blue” talks about colours as emotions. It spurned the well-oiled gears in my mind to think about writing in colours. Everyone in this business writers in colours and probably does not even realize it. Freelancers for the most part tend to write in green and gold. Green because they want to ensure they are earning the living they need, and the gold component is earning and keeping the client trust so they end up being repeat business for the writer. 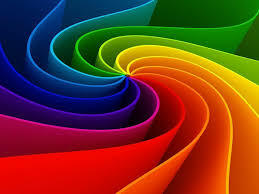 Creative writing is where the most colours come out for everyone who writes. Thinking back to my own experiences, writing in red could mean writing in rage over anger and hurt that I might have felt. Writing in blue, maybe the same thing. Writing to ease and saddle any sort of sadness for a variety of reasons. Working in brighter colours could mean so many different things. I have looked at writing in bright colours to mean a show of happiness. It also could mean writing loudly to ensure that attention is drawn to the content at any cost. In freelance writing, someone who is creating content for a client website might write in loud colours in order to get the job done. For example, content that might be written strictly for the purpose of advertising a product or service might come across as excessive to a critical mind. However, to the average public reader, the loud colours are read. Those colours could determine how the reader might receive the content. It could turn them away, or turn them into a customer for whatever is being promoted. Poetry might offer the greatest insight into writing in colours. Poetry reflects the absolute overall range of emotional insight. In my younger days poetry offered an easy escape and reason to journal teen angst. Much of my early self-training in writing was inspired by poets and lyricists. People who put words to music and emotions to words. Those influences still drive me to sit in front of a screen and hammer something out for you to read. Some poets may write singularly in one or two colours while others will cover everything and anything on the palette. In writing, emotions and the goal of the written work can come out in so many different colours that if they ended up on canvas, you would see an incredible display more brighter than any rainbow. By the way, this was written in Technicolor. So it’s every colour you want to think of. This piece is meant to educate and provoke thought for the topic. If you are in this business, write in whatever colour you feel. Paint the canvass far and wide. Finish the words if you can, or revisit them for another day if need be. Change colours if the original does not work. Paint over them…. Posted in Notes from the Frogpond.Tagged art, bass, Canadiana, canvass, color, colours, day, emotions, feel, Jay Semko, lyrics, lyricsts, paint, poetry, revisit, songwriters, techicolor, That Kind of Blue, The Northern Pikes, words, workds, write, writing, writing in colours.